BRIEF: The client was primarily concerned with organic search engine positioning and lead generation. The website also had to build creditability with prospective clients so that they would feel comfortable enough to proceed to making contact with sensitive claims. 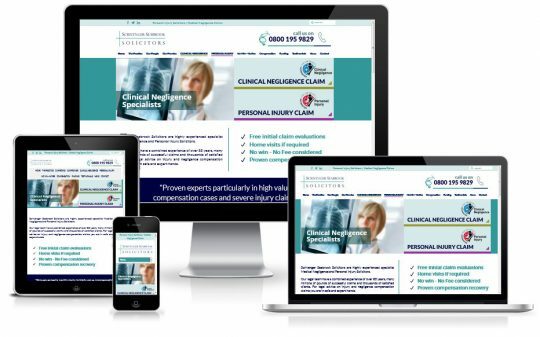 Qi re-designed the site to have an optimised structure in terms of claim types and also geographic location. The design was put together to be fresh, modern and personlised to the main legal staff at the practice. A blog was added with CMS access for the customer to create and update it at will. The site has proved a real success for the client in terms of visitor numbers and increased business enquiries.